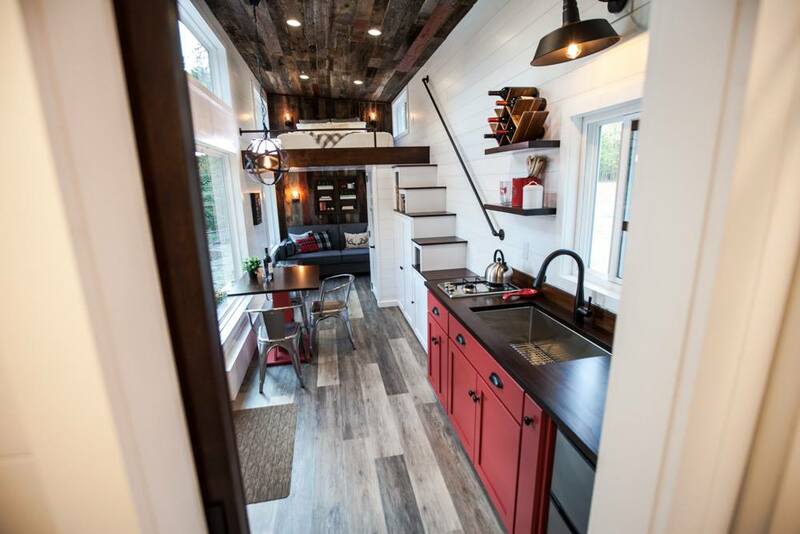 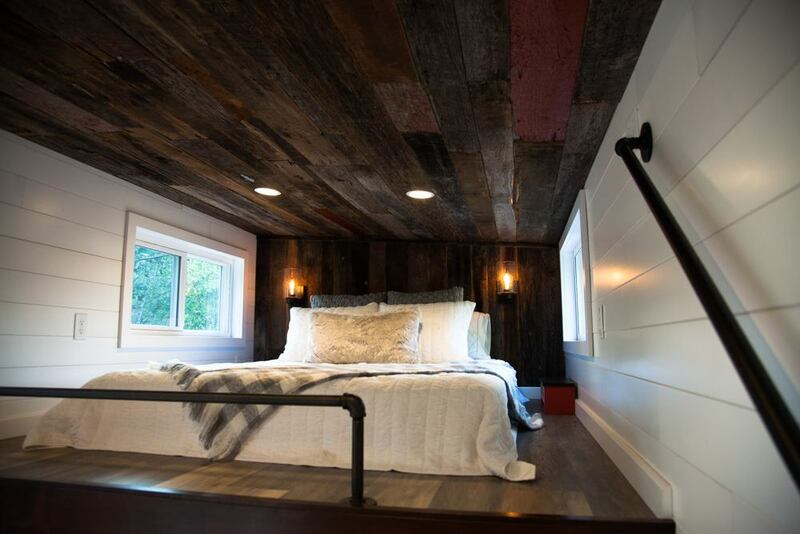 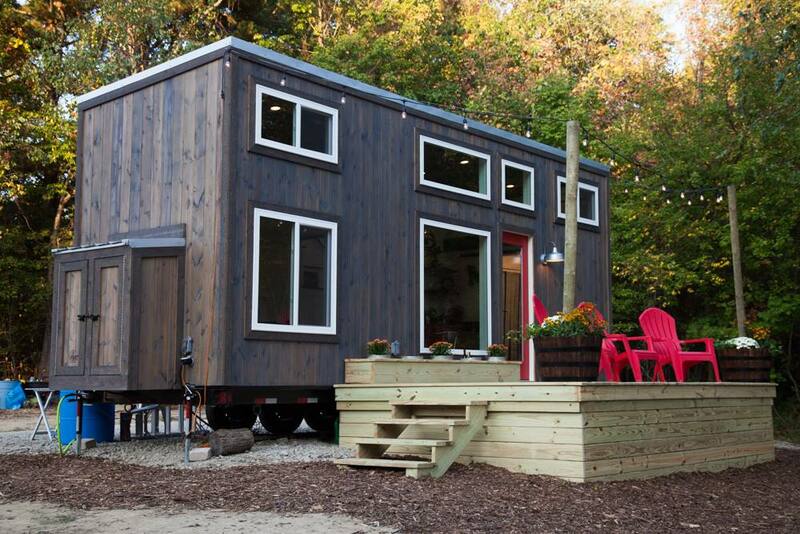 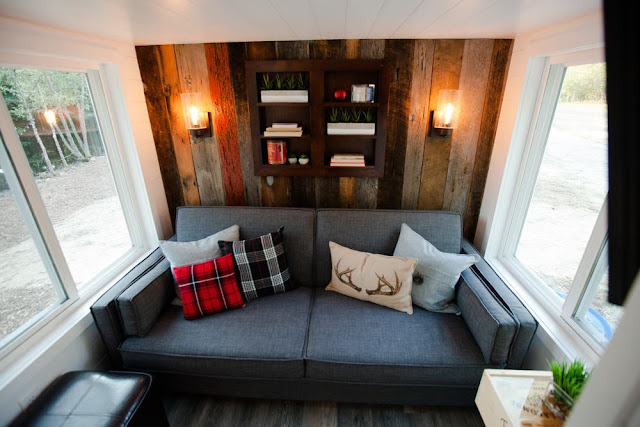 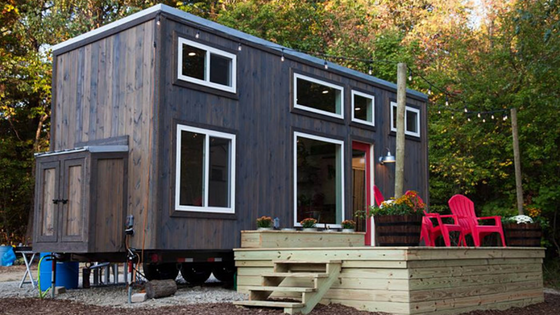 The Grand tiny house made its TV debut last night on HGTV's Tiny House, Big Living! 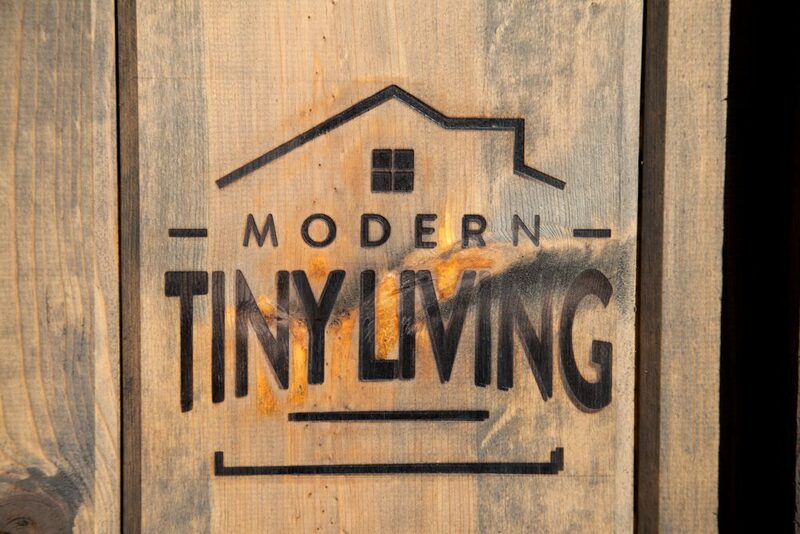 Built by Modern Tiny Living, the home was a custom build for a client who wanted her very own tiny house retreat out in wine country. 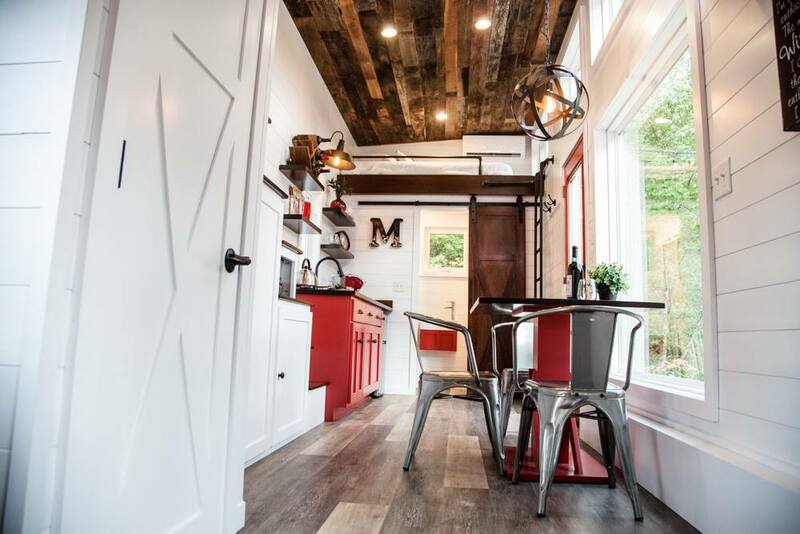 With a 26-acre lot situated just outside of Columbus, Ohio, the team at MTL worked to create a customized home with room for hosting guests, "wine-inspired elements" and even hidden kayak storage! 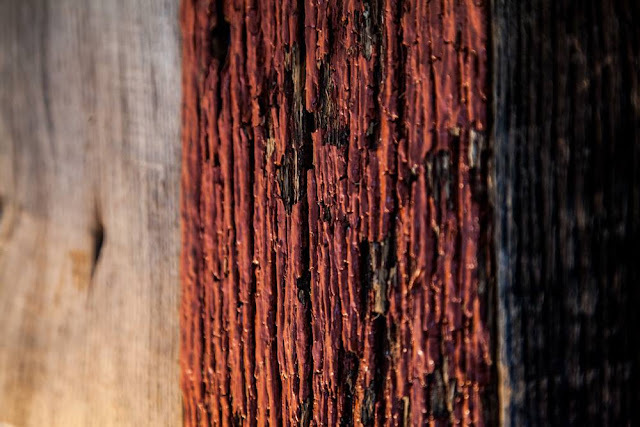 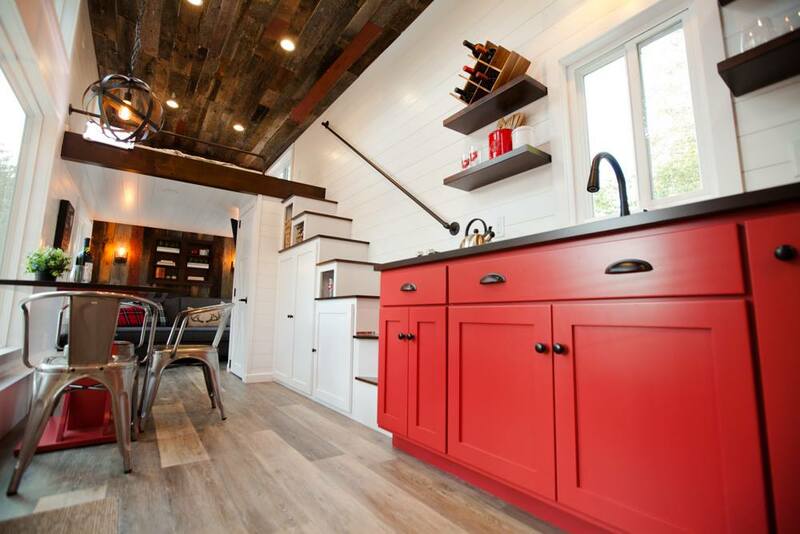 The finished product is this gorgeous 26' x 8.5' home with a contemporary look, barn wood-style siding, and vibrant pops of red throughout. 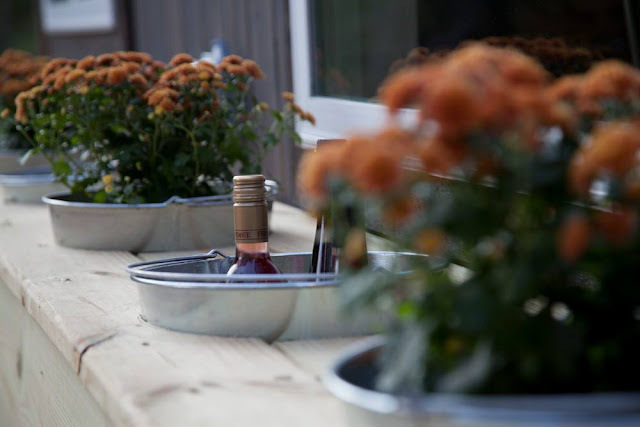 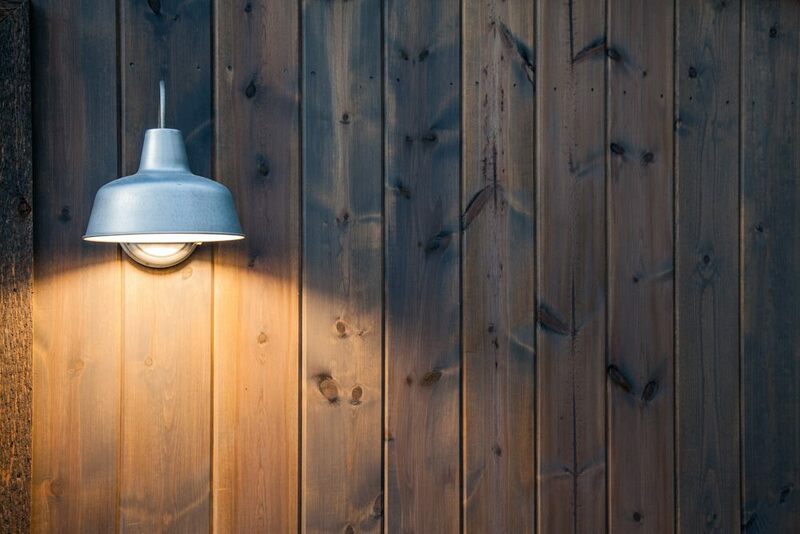 An outdoor patio with string lights was also added to create additional living space outside!